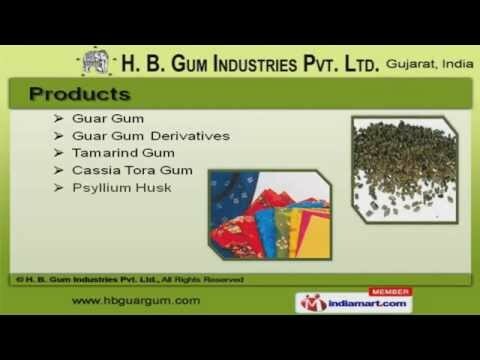 Welcome to H. B. Gum Industries Private Limited. Manufacturer & Exporter of Guar Gum & Food Products Established in the year 1983, at Kalol, we are an ISO 9000:22000 & 9002 certifiedcompany. State-of-the-art manufacturing unit Make us different from others customized solutions, diligent workforce & convenient payment options make us the firstchoice of our clients. Our product list covers Guar Gum Derivatives, Tamarind Gum & Psyllium Husk. We offer Fast Hydrating Guar Gum & Guar Split that are best in the industry amongstothers. Our Guar Gum Derivatives are widely acclaimed in the market. Tamarind Kernel & Gum offered by us are a class apart. We also provide Cassia Tora Gum that are in huge demand across the global markets. Our Psyllium Husk are extremely reliable.